Regina-based Andino Suns’ culturally hyphenated music combines the sizzling Andean sun with the expanses of the Canadian prairies. Their genre-defying sound is steeped in their cherished Chilean heritage, combining Andean instrumentation with modern Latin grooves to produce an eclectic sound that’s identifiably their own. The 2013 release of their debut self-titled album — a suite of upbeat acoustic songs performed entirely in Spanish — propelled the Suns into popularity. They have since been wowing festival audiences in Saskatchewan and throughout North America, finding common ground with music lovers, who, like the Suns, are passionate about social justice, peace and love. 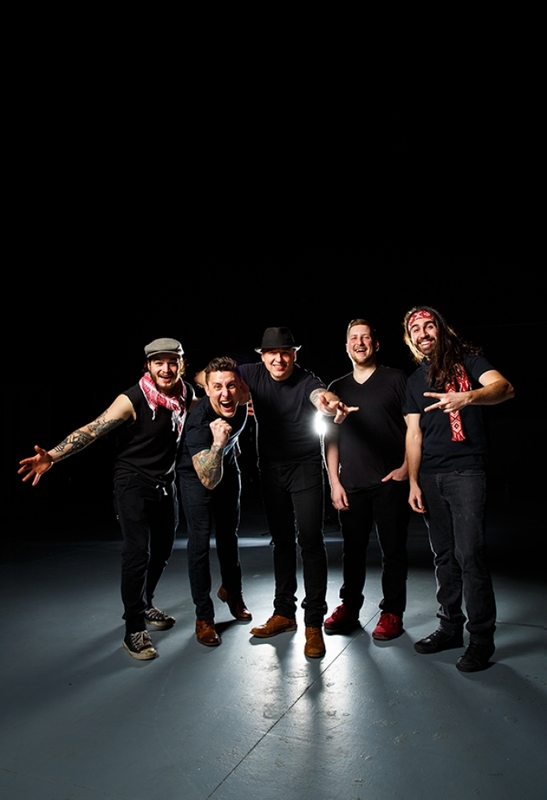 For their 2014 Sophomore album, It’s Time to Rise, Andino Suns were nominated at the Western Canadian Music Award nomination for World Artist of the Year. In 2017, following the release of their third album Madera (2016), the Suns were crowned World Artist of the Year at the Western Canadian Music Awards. Arguably the band’s most ambitious album yet, Madera saw the Suns collaborating with Saskatchewan’s best talent including Megan Nash, The Dead South, Keiffer McLean, Scott Richmond, and members of the Regina Symphony Orchestra. Daniel Emden, a Montréal-based percussionist of international repute, co-produced the album. In Fall 2017, Andino Suns released their newest single, Tiburón, performed in Spanish and French.